Everbuild - Genuine cotton twill, protect from spills, splashes and dust. 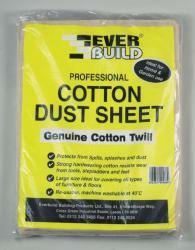 Strong hardwearing cotton resists wear from tools, stepladders and feet. Reversible, machine washable.